Scientists have derided and ridiculed the science of Phrenology, which claims health problems can be diagnosed by visual examination of the head, is a “psuedoscience”, and has no validity. That is because Scientists always attack any other field of science that undercuts their own profit driven methods of diagnosing and treating health problems. After all, if someone can obtain a health diagnosis from a person who only has to visually examine their head, then why would that person pay 1000’s of dollars to go to a doctor or a hospital for the batteries of expensive tests that Western Medicine employs. This post is about a news article that has been released describing a doctor who can diagnose genetic diseases by simple visual examination of a patients face, and a company that has developed a computer program to perform the same diagnosis. This story proves that Phrenology is a valid science. Phrenology diagnoses illnesses by examining a patients head, and the doctor in the following story as well as the computer software described both diagnose genetic illnesses using a picture of a patient’s face. The point of the posting this story and others like it on this website are to prove that scientists and doctors are stoopid. They can and do constantly make mistakes and outright lie about issues they have no comprehension of. Doctors and scientists are only concerned with making money, and will ridicule and attack anything or anybody that can possibly interfere with their ability to make money. Never ever trust a doctor or a scientists. Always question what they say and do, and keep an open mind to any other information that is available about the subject you are interested in. The news story about facial diagnoses of genetic illness is reprinted below. Some older attempts at facial analysis relied on large, clunky scanners – a tool better suited to a lab, not the field. Now, in the era of smartphones, such efforts have a whole new promise. Face2Gene, a program developed by Boston-based startup FDNA, has a mobile app that clinicians can use to snap photos of their patients and get a list of syndromes they might have. Meanwhile, Muenke and his colleagues at NIH last month published an important advance: The ability to diagnose disease in a non-Caucasian face. It’s a promising preliminary sign. 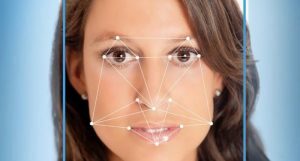 But if facial recognition software is to be widely useful for diagnoses, software developers and geneticists will need to work together to overcome genetics’ systemic blind spots. The algorithms in general work on the same principles: Measuring the size of facial features and their placement to detect patterns. They’re both trained on databases of photographs doctors take of their patients. The NIH works with partners around the world to collect their photos; FDNA accepts photos uploaded to Face2Gene. That’s intentional. Face2Gene is meant to be more like a search engine for diseases – a means to an end. “We are not a diagnostic tool, and we will never be a diagnostic tool,” said FDNA CEO Dekel Gelbman. Drawing that bright line between Face2Gene and “a diagnostic tool” allows FDNA to stay compliant with FDA regulations governing mobile medical apps while avoiding some of the regulatory burden associated with smartphone-based diagnostic tools. The algorithm the NIH uses – developed in collaboration with Children’s National Hospital system in Washington, D.C. – seems to work pretty well so far: in 129 cases of Down Syndrome, it accurately detected the disorder 94 percent of the time. For DiGeorge Syndrome, the numbers were even higher: it had a 98 percent accuracy rate across all 156 cases. Face2Gene declined to provide similar numbers for their technology. “Since Face2Gene is a search and reference informational tool, the terms sensitivity and specificity are difficult to apply to our output,” Gelbman cautioned. But there’s one big stumbling block for both of them, a problem that has dogged medical genetics for decades: Data for non-white populations is sorely lacking. So diagnosing diseases from a face alone presents an additional challenge in countries where the majority of the population isn’t of northern European descent, because some facial areas that vary with ethnic background can often overlap with areas that signify a genetic disorder. Eventually, the software will also have to be able to tackle people with mixed ethnic backgrounds, too. “We have thought about it but haven’t gone there yet,” Muenke said. For example, children with Down Syndrome often have flat nasal bridges – as do typically developing African or African-American children. Across different races and ethnicities of children there were only two reliable identifiers that could be used to diagnose Down Syndrome – the angles between landmark points on the child’s nose and eye, according to a paper Muenke and his colleague, Marius Linguraru, published with their colleagues earlier this year. All of the other “typical” features weren’t significantly more likely to show up when children were compared to ethnically-matched controls. In fact, using a Caucasian face as a reference can sometimes be the least representative choice. “One of the findings that I’m very interested in [in] our recent study was that the population that we found to be most different from the others, in terms of facial patterns characteristic of DiGeorge Syndrome, was the Caucasian population,” Linguraru said. To continue to fix this problem, both the NIH and Face2Gene need help from more researchers who can upload more patients’ faces – but that’s easier said than done. Confirming a suspected disorder with genetic tests is standard practice today, and there are no genetic labs based in Africa registered in the NIH’s Genetic Testing Registry. Asia and South America are also relatively underserved. Those numbers also reflect the general patterns of distribution for medical geneticists. “Most practitioners are located in North America and Europe,” Gelbman said. Nigeria, for example, doesn’t have a single medical geneticist in the entire country. For now, both algorithms have shown that they can handle a diverse patient set. FDNA scientists published a paper in January showing that their algorithm could better identify Down Syndrome after being trained with a more-diverse set of faces, and Muenke and Linguraru have also published papers this year demonstrating their algorithm’s ability to identify genetic disorders correctly in children across a variety of ethnic backgrounds. As both groups work on recruiting more researchers, they are also working to push their tech forward. FDNA is working on establishing partnerships with pharmaceutical companies to start their commercial outreach. In theory, these partnerships could contribute to precision medicine efforts or help companies develop new therapies for rare diseases. Meanwhile, Linguraru has his eyes on eventual FDA approval for the algorithm the NIH has used. The ultimate goal would be a simple tool that any doctor could use anywhere to get fast results and better diagnose their patients. Hello Happeh please contact me i want to talk to you..
Happeh can you provide some more insight in the pyramid section of yours. Yash, what do you want to know? I understand this stuff pretty well, could I help you out? Hi Chris i wanted to that why do temples in india have pyramids on top. If we have the perfect pyramid in our body we can attain moksha? I’m pretty sure happeh would tell you that all cultures worldwide that Implement pyramid shapes in their clothing and building designs are all honoring the pyramid within the human body. A strong body is associated with a high level of Spiritual Development so that’s probably why temples in India and elsewhere would seek to imitate and demonstrate pyramid shapes. If moksha is similar to the Eastern concept of Enlightenment then a strong pyramid/strong body would certainly help the individual attain that goal. Chris if know happeh or if you want to speak and discuss what happeh theory is please lets just talk on email or whatsapp my email id- yashifc@yahoo.com. thank you for your reply buddy! Give me a mail i want to discuss and talk to you. I wish happeh confirms what you said and what i am trying to understand by watching indian culture and monuments i do a lot of travelling in india. i wont be skeptical about Indian culture anymore. but whatever the thing is. Happeh is a great person his efforts are tremendous for letting us know and learn his true theory. They have passed the knowledge on from generation to generation. Also, many people/cultures in the world still know about and maintain this knowledge. Most ancient/older cultures know about these things in fact, mostly only modern/western/technicological societies do not know or are unaware of these things like energy and the human body. I guess maybe this is not true cause i dont see this thing anywhere on the web nor do i think i will hear this from anybody on this planet. and lets talk on some platform not on comments. And hey whats your progress in rehabilitation? I would be doin yoga straight till 7 years i believe in happeh theory and Jalon Anderson. We need to be unshaken from the world. Normal kings and princes then achieve their celestial abode. By these type of penance now by question is what is the way happeh suggests is to do yoga pilates or anything to become normal after damaging yourself by bad things. Like for example me i am doing only suryanamaskar 6 times a day so will it help me become normal after this damage if i do this every single day for 6 years and become a strong person with strong will?